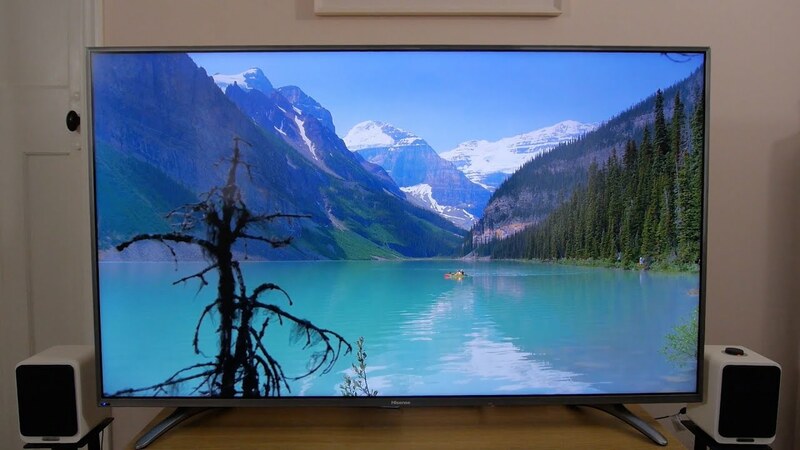 A 4K Ultra HD television at this price is certainly not what you’d expect; even from a company such as Hisense, a brand most renowned for its plethora of affordable TVs. It would be unfair to Hisense (not to mention against our principles) to say our recommendation is based only upon specifications, but they do make mightily impressive reading. The company’s conviction is that buying an entry-level television doesn’t necessarily mean you have to sacrifice features. To that end, it is equipped with HEVC and VP9 support, has four HDMI connectors, two of which are HDMI 2.0, and three USB connectors, one of which is USB 3.0; that means you can both stream 4K content and play anything you have stored from an external device. In lieu of having access to 4K content, the K321 has Freeview HD built-in and is PVR ready for those who like to record and watch back. Being well stocked with smart features and catch-up apps, including our Award winners Netflix and BBC iPlayer, it is unlikely many people’s need for that will ever be too great. Though we choose to connect to the internet using an Ethernet cable (for better stability), there is also wi-fi built-in for a potentially tidier link up. In terms of build and aesthetic, there can be really no complaint; given Hisense’s target audience, the clean lines and neutral, thin frame make a lot of sense, and there is nothing low-end about its construction. That’s even down to the remote control, which feels substantial in the hand and is really rather intuitive with its shortcut buttons to YouTube and Netflix. Setting up, other than requiring two people to lift the set from its box, also asks very little of us; once we’ve screwed on the K321’s two feet and plugged in the various sources we’ll be using, we are guided through initial setup pages and are ready to begin fiddling properly in only a couple of minutes. We begin, of course, by neutralising all settings and running through a THX calibration disc; the sensitivity of the settings meant we only needed to flick a few steps one way or another to notice marked differences. Our first impression of this Hisense’s capabilities, namely upscaling standard definition channels, is a decent one. Most of us have, with one television or another, found it difficult to watch standard definition channels because the discrepancy between those and the picture with high definition is so great. However, settling in to Countdown, we’ve no real qualms regarding detail at all. We flick between Channel 4 and its HD sibling and, though the latter is notably better, we don’t feel immediately compelled to switch back. It is easy to find a natural-enough balance for colours such as those of hair and skin and there is a general boldness about the overall presentation. While there’s much here you could consider contradictory with the K321’s tempting price tag, we don’t necessarily watch this set thinking low-end or cheap. What we do think is that it could benefit from a little more subtlety. With colours, for example: you can get a natural balance with little manipulation of the factory settings, but they often lack nuance to a point whereby our eyes are drawn to those most opaque tones that can wash over the general picture – like if this episode of Countdown were being directed by Wes Anderson. It affects the perception of depth, as well; with little gradation to the darkness of shadows, it is difficult to prevent the picture appearing rather flat. Our grievances are less to do with things such as detail, which, though there are televisions in this price range – albeit not Ultra HD sets – offering more detail in full HD broadcasts, is perfectly fine to enjoy what you’re watching. It is more that these subtleties, or lack thereof, can be detrimental to engagement. Again, this isn’t the most detailed picture we’ve seen, but, even taking into account it is being streamed, it is a recognisable step up from the Full HD picture. The overall character remains the same, of course; that lack of subtlety is actually highlighted usefully by those aforementioned drug scenes, with little being able to be picked out in dark rooms or shadow. Also in focus when watching a show such as this, which has a tad more by way of action than Countdown, is the set’s lack of aptitude for tracking movement. As always, we begin with settings such as ultra smooth motion switched off, and experiment thereafter. With no aid, or with the motion setting set to low, we experience quite a lot of judder. Those creases are ironed out somewhat by the time we get to the medium setting, but there is sometimes a noticeable amount of blurring when set too high. We settled on medium as being the most reasonable compromise, but would appreciate some more stability without having to trade off with an overly artificial picture. Sound is a strength – as well as watching television, we enjoy some of Lubomyr Melnyk’s music on YouTube. The Ukrainian composer’s delicate, minimalist piano arrangements are treated with enough care and expression to justify playing music through your television; it is an engaging and full-bodied performance that certainly doesn’t leave you immediately searching your trouser pockets for spare change to buy a soundbar. Nor do we want particularly for extra power during action scenes. We needn’t tell you there won’t be ear-splitting clout or rumbling low-end, but those Narcos shoot-out scenes are far from limp and we’re able to get properly immersed. 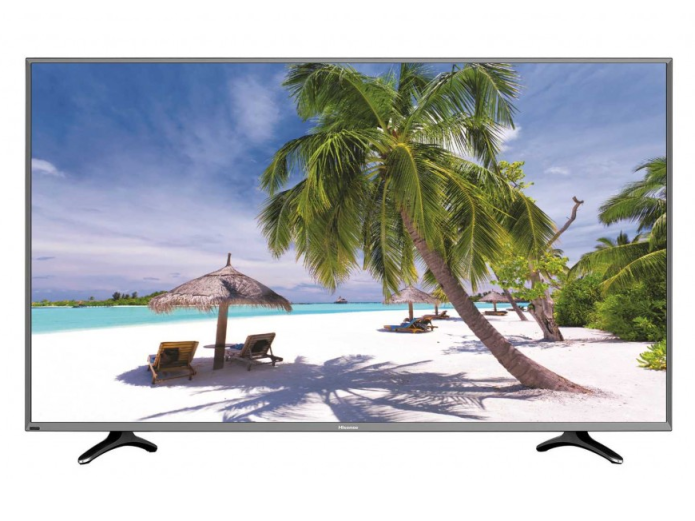 The ability to offer a television of this spec at this price is quite remarkable. And the picture is pretty decent, though in terms of standard definition and Full HD it lacks in most areas compared with the best TVs on the market. Though we’d likely be inclined, given this budget, to dispense with 4K and instead opt for a more widely talented Full HD set, for an all-in, entry level telly with this spec, there really is no other solution available.